Unless we're dining out or have particularly tasty leftovers from the previous night's dinner, our mid day meal consists of chunks of fresh bread purchased from the bakery a block away, a plate of charcuterie (meat products, primarily pork but including anything and everything, like sausages and salamis, pates, bacon and the like), fresh tomato and/or cucumber and/or artichoke, olives, fruit, and a cheese plate. 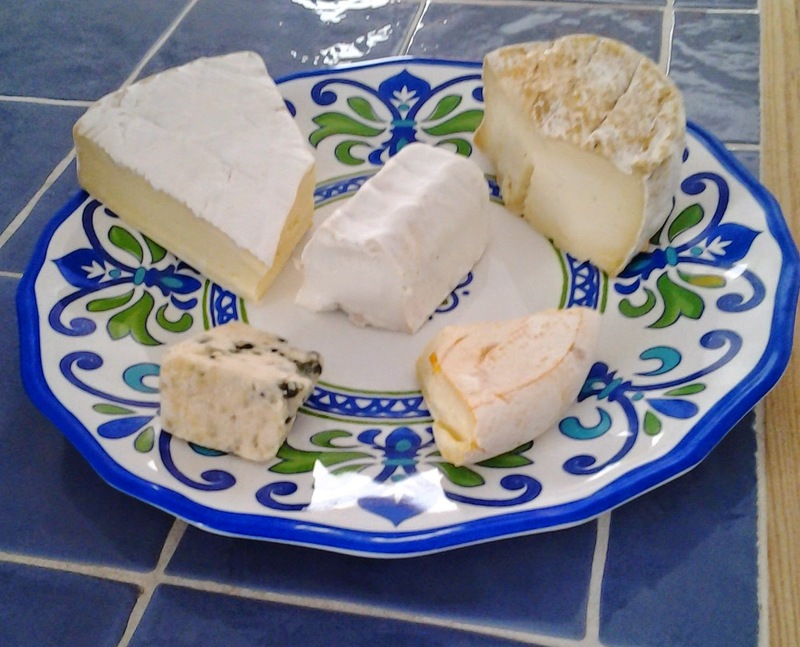 Our typical cheese plate will have a variety that includes soft cheese (brie, Camembert, reblochon), firm cheese (cantal, emmental), Roquefort or other blue cheese, and a goat or a sheep cheese. 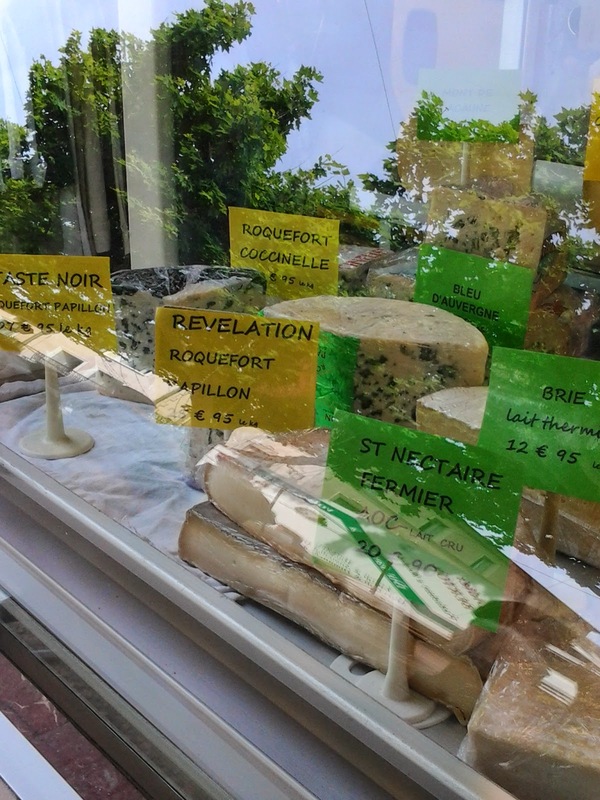 You can buy cheese where ever food is sold. 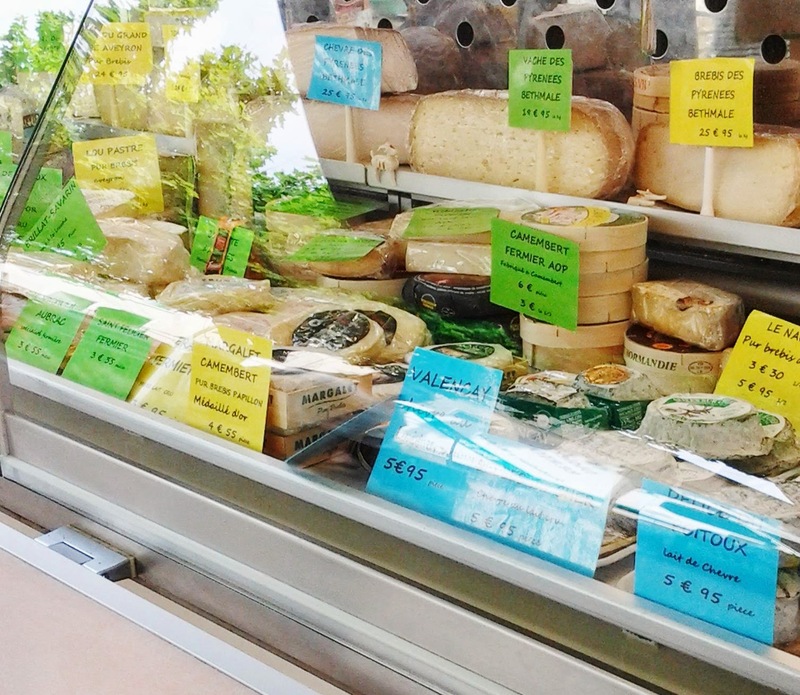 Our favorite super markets have long cheese counters with varieties running the gamut. 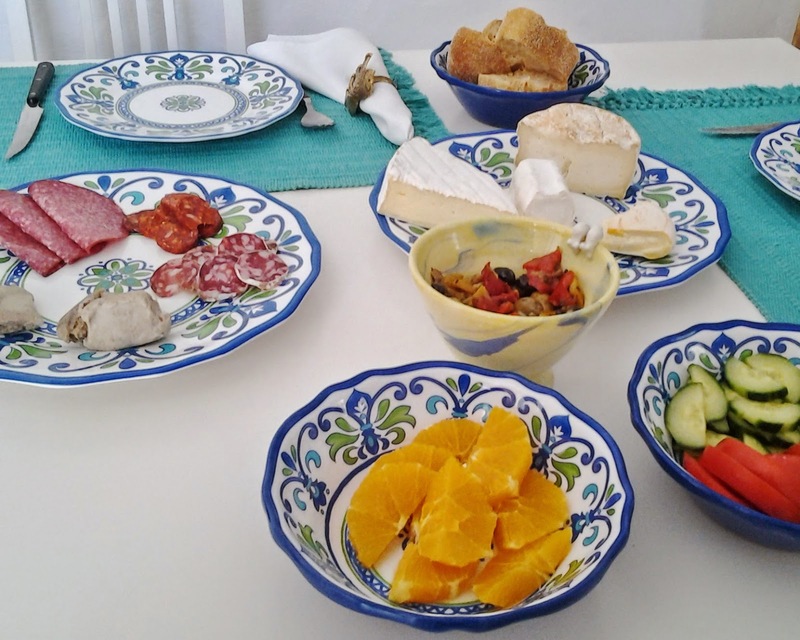 Smaller groceries' assortment reflects either the owners' taste, the local product, or both. And every market day usually includes a cheese vendor. The offering of the vendor in the Wednesday market in Quarante is pictured just below. 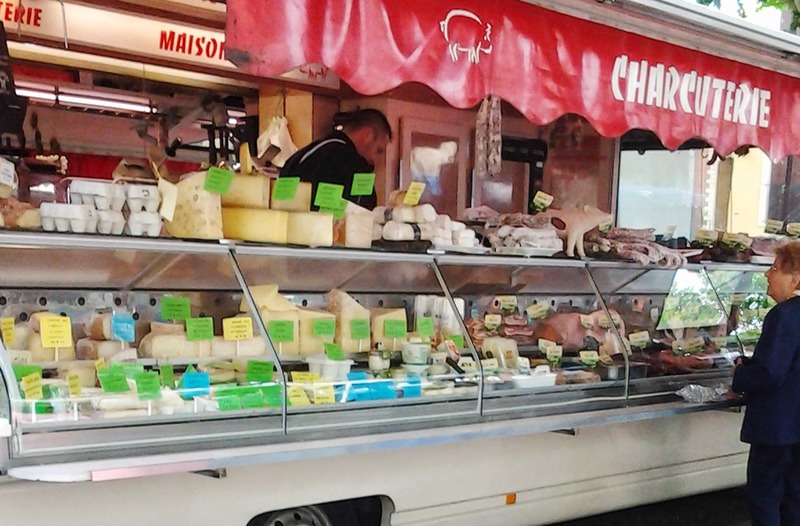 Below that are two pictures of the charcuterie, meat, poultry, and cheese truck in the Capestang market.